About half the bird species in the world are passerines. Other birds are water birds, or raptors, or whatever. This category is made up of what is left over when one constrains the bird to live and hunt on land, but not be a passerine. I wish I could be more definitive, but this group seems to be a catchall for whatever doesn’t fit elsewhere. 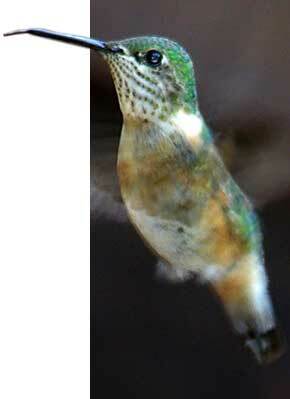 Mind you, having said that, it really does contain some interesting—indeed spectacular—birds, such as the hummingbird, that group of species unique to the Americas. Information from Wikipedia about what this group is not: Passerine.